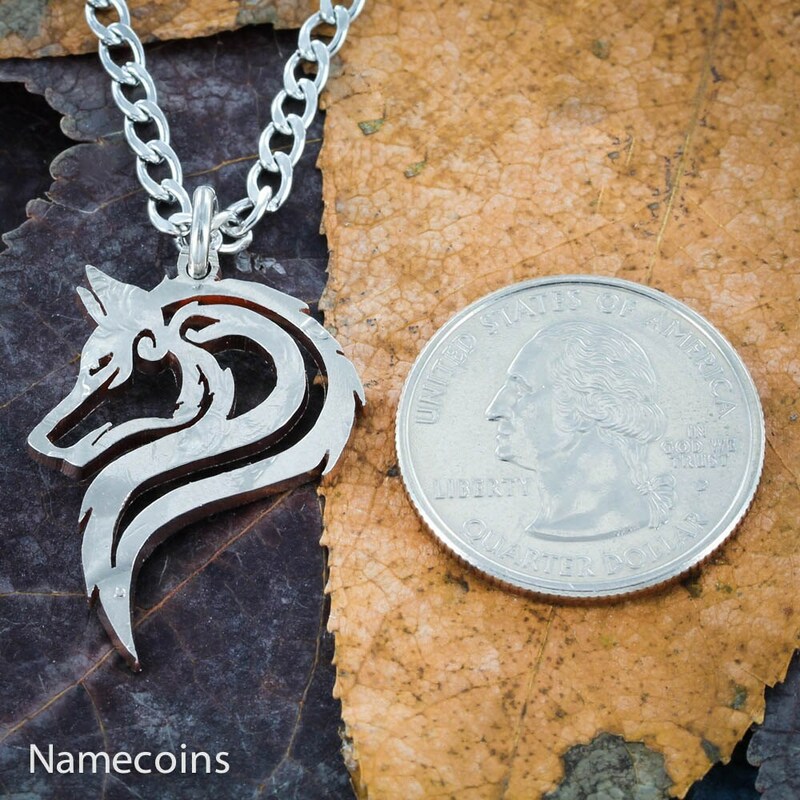 This tribal wolf design has been entirely cut by hand with a small jewelers saw. We put a lot of pride in our work and our designs. 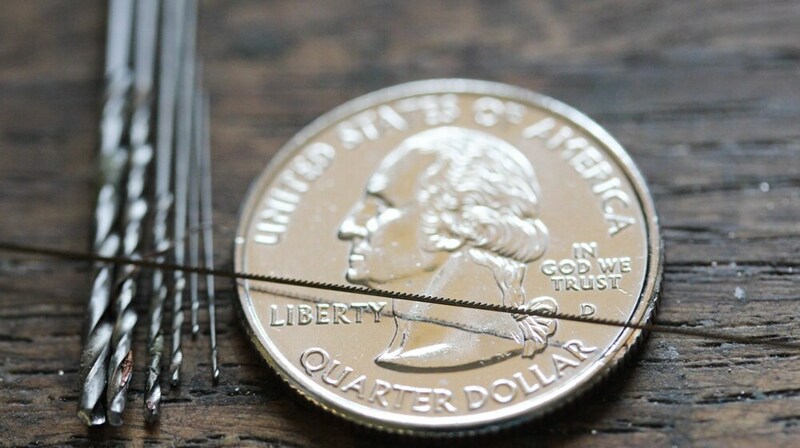 Your piece will be just as perfect as in the picture. 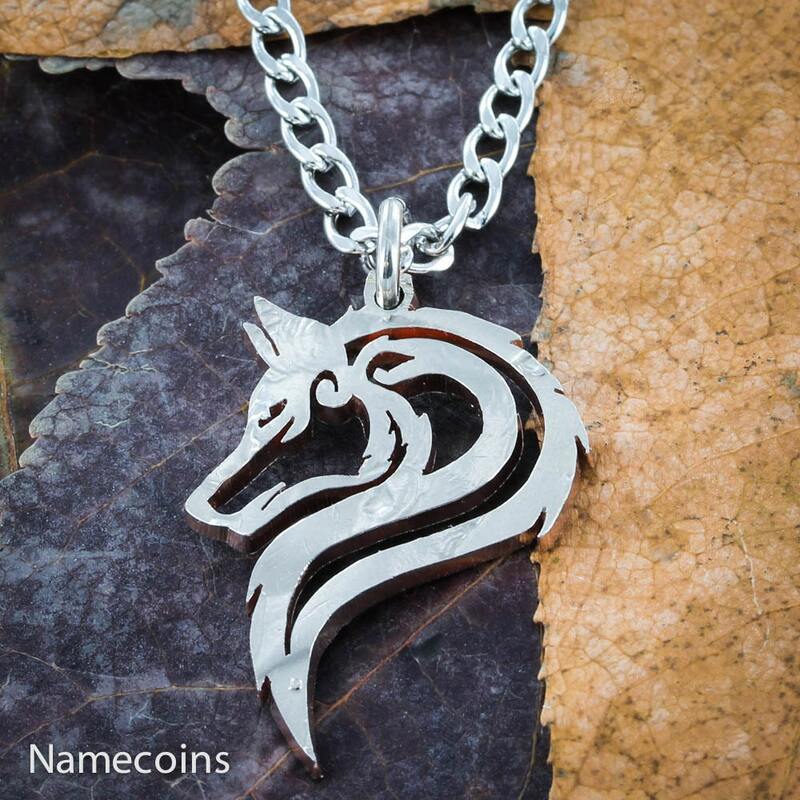 It is put on a high quality and very sturdy stainless steel chain, black cord or keychain. The thick chain is heavy and perfect for guys. Thank you for appreciating our hard work. As you can see from our reviews we do everything to make our customers happy. Please message us if you have a question or want something custom. The main picture is made from a half dollar. 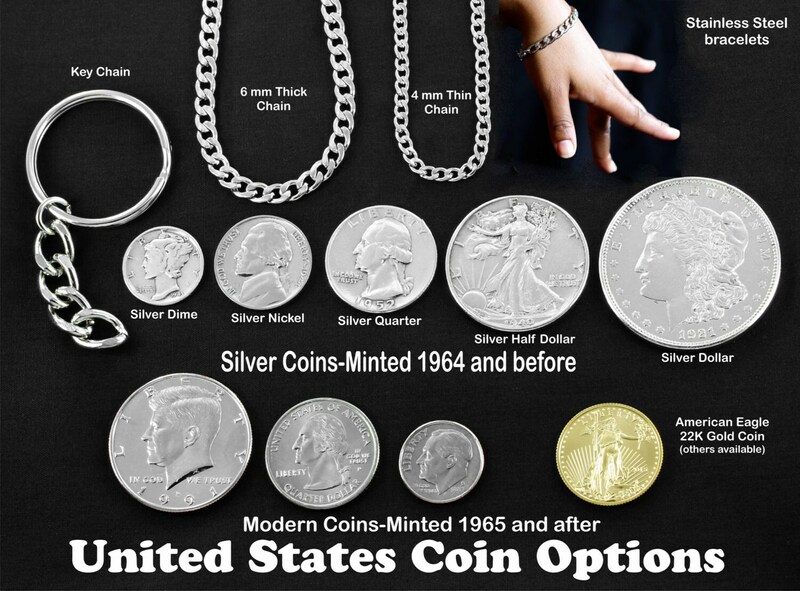 You may also choose to have us cut on a silver half dollar, an Eisenhower dollar or a whole silver dollar. The Eisenhower and silver dollar are the same size. I loved this. It came out better than i thought it would. I'm wearing mine currently! Stunning craftsmanship a pleasure to do business with, caring and helpful and replied to all my mails. If you are in the UK watch out for customs charges but will wear this with pride, and for years to come. Thanks to the both of you.